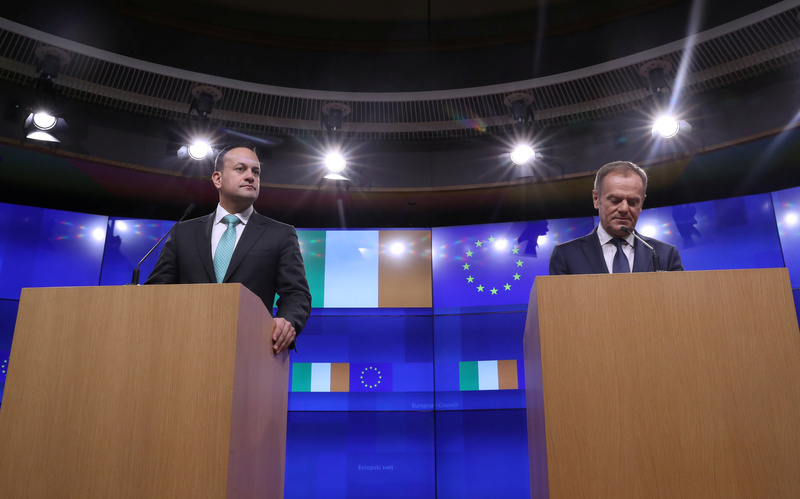 European Union Council President Donald Tusk said that there was a “special place in Hell” for “those who promoted Brexit without even a sketch of a plan of how to carry it out safely” during a press briefing with Irish Prime Minister Leo Varadkar in Brussels, according to the BBC. To ensure that his comments were heard, Tusk tweeted out his statements shortly after. Democratic Unionist Party Member Sammy Wilson also went on to brand Tusk as a “devilish, evil euro maniac” for his comments. With just 50 days left until the U.K. leaves the EU, Tusk’s comments come amid strained withdrawal negotiations in recent weeks. “The EU is first and foremost a peace project. We will not gamble with peace or put a sell-by date on reconciliation. This is why we insist on the backstop,” said Tusk in the press briefing. After being voted by British lawmakers last month, British Prime Minister will head back to Brussels on Thursday to renegotiate the terms of the current agreement regarding the backstop, according to CNN. “The instability in British politics in recent weeks demonstrates exactly why we need a legal guarantee and a solution that is operable that we know will work, will last,” said Prime Minister Varadkar.